I have been intrigued by chia seeds for a little while now but have never actually got around to buying any. 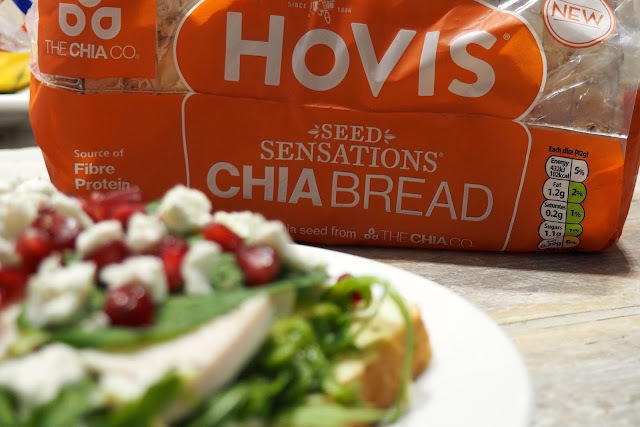 However the collaboration between Hovis and The Chia Co. means that getting all the goodness from chia seeds is now as easy as eating your toast in the morning or scoffing your sandwich at lunch. For any of you that know me you know that I am a big fan of anything Australian and The Chia Co. is as Australian as they come. 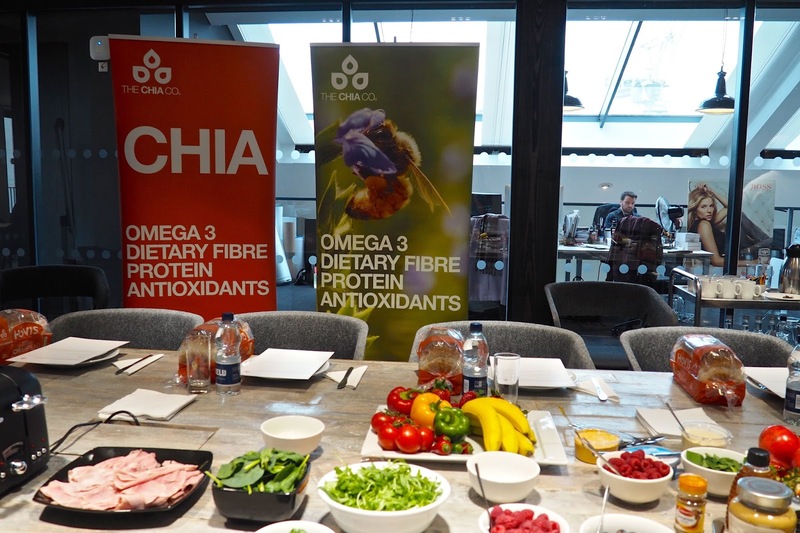 The chia seeds are grown sustainably in Western Australia and now also in Nicaragua, Kenya and Tanzania. These little seeds are packed full of all sorts of vitamins and minerals and a HUGE amount of omega 3 and seem to be having a well deserved moment in the health food spotlight. We were given all this information while sitting around a table absolutely covered in all sorts of delicious food. 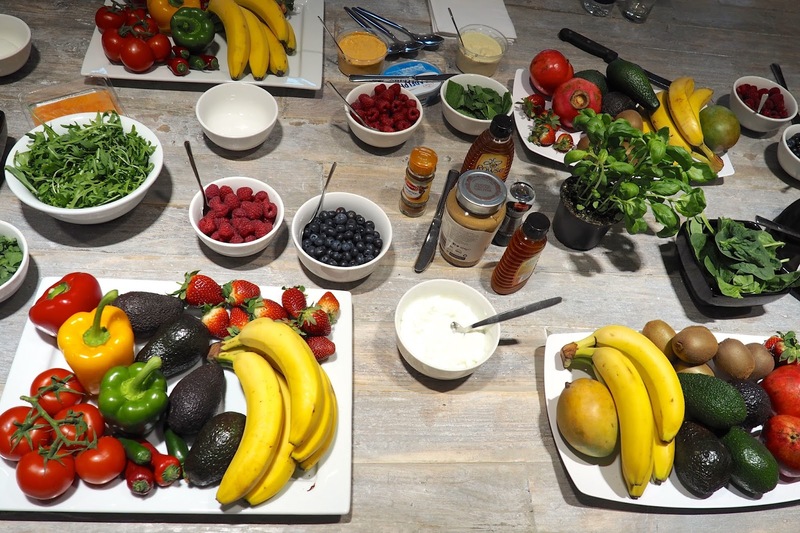 It was the dream table spread with everything from berries and mangos to fresh mint and chicken and literally everything in between! 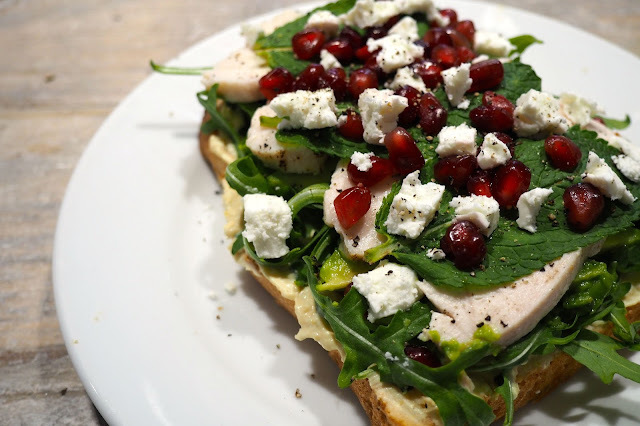 I present you with the seriously yummy humous, rocket, avocado, chicken breast, mint, black pepper, feta and pomegranate seed sandwich. It was an absolute mess to eat but I really didn't care. I don't often make sandwiches but if I had everyday access to the ingredients we were treated I would be a sandwich queen! The next challenge was to make a yummy piece of toast. Again a tricky task when you have so many delicious toppings to choose from. 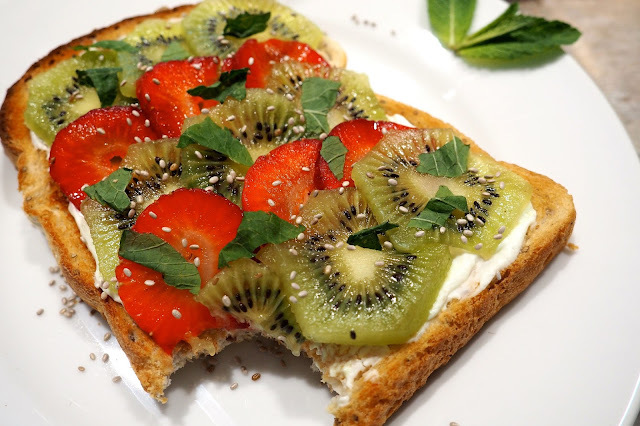 In honour of my kiwi fella I went for a pudding piece of toast with cream cheese, kiwi fruit and strawberries. Sprinkled, of course, with lots of chia seeds. I really would recommend Hovis Chia Bread, it's as delicious as all their other loaves and has so much healthy yumminess added in. I would also really recommend experimenting with what you put on your toast. 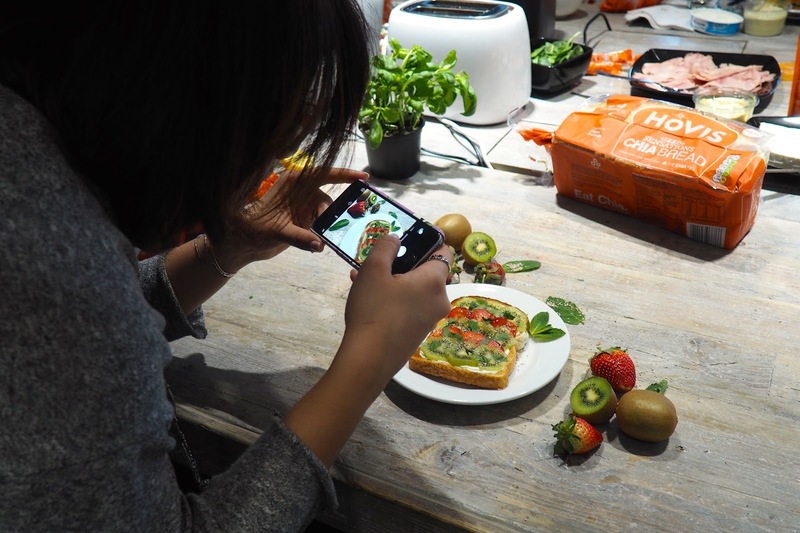 I wouldn't have thought to put fruit on toast but it really does work!